The story of a girl, trying to draw herself a new life map. After the one that she thought would lead her to forever to torn into a million irretrievable pieces, by one inconceivable loss. The relationship here is quite obviously meant to be contentious, but not in an overt manner. There is never a pronounced "stay away from me" vibe given off by either camp. There is however, a very real "this is new...now what do I do about it" signal being sent from both parties. What readers come to understand about Summer as things within the story progress, is that, she is only protecting her very fragile heart from someone (Bray) who, because of her attraction to him, could very well hurt her. Bray, on the other hand, not knowing all there is to know about Summer. May be open to dicovery, but is somewhat put off by her harsh judgements and rebuffing. Thankfully, the transition from the imagined slights and snubs between these two pre-stranding, turns into a very real fight for survival after they land on the island. Now, as a reader...this is also where things tend to get a bit sticky plot-wise. As the plot does a great deal of twisting within a very short amount of time; with a very mixed bag of results. On one hand, the action and emotionality that result from Bray and Summer's having to work together to stay alive and find what they need is wonderful. It is also sweet to see the walls of mistrust that these two have been so determined to hide behind come down. What throws one for a loop is the overwhelming insta-love that develops between these two within a matter of days. While the revelations about each of their respective pasts, and the understandings that they come to regarding themselves and each other make for very compelling reading. The lightening speed with which their attraction barrels over the "friend-zone" and crashes head-long into "I can't live without you land" is astounding. Especially, when one takes into consideration that this is a refreshingly clean read with religious undertones. That bleep on the perfection radar aside. The time spent on the island is full of adventure, mystery, and a few other well-placed surprises that will keep readers coming back for more. Sadly, life has a way of intruding after the two are rescued. Or should I say, life and wannabe girlfriends. 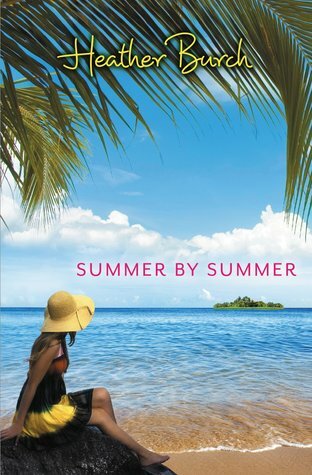 The way that things end here really pulls at the heart, and makes one root for the "happily..."
Even though, again, the sweetness of the story, and the honesty of the connection between Bray and Summer is overshadowed a bit by the drama of an unneeded "you can't leave me moment" at book's end. I write full time and love being involved with groups that promote books! 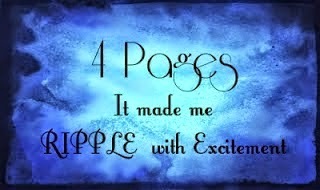 Writing young adult and romantic fiction has been the most exciting writing journey of my life! Before novels, I wrote teen curriculum published in both the U.S. and Asia Pacific. I've had a blast the last several months traveling the country and meeting fans! From Missouri to Miami, I've gotten to meet awesome enthusiasts at book stores throughout the U.S. I'm repped by the AMAZING Karen Solem at Spencerhill Associates. I've taught in the U.S. and Mexico at women's and teen conferences. Teen conferences ... sooo fun! I've always been drawn to epic stories about love and loss. Though I have a wide range of tales, from sagas of love lost then rekindled to high adventure young adult novels. In all, you will find a common thread. I call it the soul-mate factor. Enjoy the journey as we dive into characters who--whether saving the world or just their own lives--find their inner strength and risk it all for that elusive thing called love.